When: Friday 21 May 2010 at 6:00 p.m.
Grassroots innovation that adds value for many has emerged as the strongest theme driving innovation initiatives in India. This has resulted in some outstanding examples of frugally engineered products, that impact many people across a wider area. It is indeed a reason to be proud that many of these have been steered from Pune. To foster the culture of innovation among businesses in Pune, MCCIA the apex trade body in Pune and KPIT Cummins – a leading product engineering and IT consulting company with a strong commitment to innovation have come together to present an exclusive opportunity to meet thought leaders who have played a key role in driving innovation. MCCIA and KPIT Cummins invite you to a panel discussion ‘From Jugaad to Systematic Innovation’ based on a book by Mr. Rishikesha Krishnan, Professor of Corporate Strategy & Policy and Jamuna Raghavan Chair Professor of Entrepreneurship at the Indian Institute of Management, Bangalore (IIMB). The panel discussion will explore the innovation paradigm in India and its implications. Mr. Shrinivas Sharangpani, former Head of Knowledge Centre, Teardown & Benchmarking Centre and Innovation Centre at Tata Motors. M S Unnikrishnan is the Managing Director of Thermax Limited, the Rs. 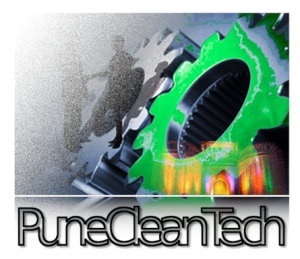 3200-crore energy and environment solutions company, headquartered in Pune, India. The company operates in the areas of heating, cooling, power, water and waste management, air pollution control and chemicals. The company has been consistently listed by Forbes as one of Asia’s best under a billion dollar companies. Prior to Thermax he has worked in companies like EID Parry, Terrazzo Inc, U.A.E.He is a Member of the Development Council constituted by the Ministry of Heavy Industries, Government of India, towards creating strategies for the Industrial development of the country. Apart from that he is actively involved with Confederation of Indian Industry (CII) as a National Committee Member for (i) Power and (ii) Capital Goods. He also served as a Member of the special Sub-committee created by the CII for enabling the Civilian Nuclear Agreement between India and USA. He is also co-opted as a Member of the Advisory Committee co-chaired by the Chief Minister of Jammu & Kashmir for creating a 2020 vision and plan for the state. Mr. Unnikrishnan is known for his strategic and human relations skills and is a keen champion of green technologies. He is also an alumnus of Harvard Business School’s Advanced Management Programme. Shrinivas is the former Head of Knowledge Centre, Teardown & Benchmarking Centre and Innovation Centre at Tata Motors. An author and researcher, Shrinivas has a patent on process of making mirror like reflective coating on large bodies and has 3 more patents pending. He holds a Bachelor of Engineering degree in Metallurgy and is an expert in the area of Innovation, Benchmarking, Product Development, Value Engineering, Cost Reduction and Creativity. Prior to Tata Motors he has worked with Bajaj Tempo Ltd (now Force Motors). Kiran is the President of Airtight Networks, a global leader in wireless intrusion prevention systems, wireless LAN monitoring products and Radio Frequency management. 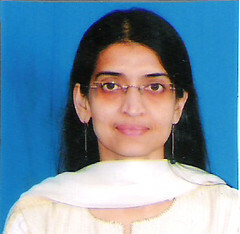 Kiran brings 24 years of management and technology experience in the software industry. At AirTight he oversees sales and operations for the EMEA and Asia Pacific regions. Kiran was formerly the Managing Director and CEO of Mahindra British Telecom (MBT). Kiran grew the company from US $7m in five years achieving over 60% CAGR on revenue and 110% CAGR on net profit. The company became one of the top software services companies from India. Under his leadership Airtight Networks won the NASSCOM India Innovation in the New Technology Advancement category for 2009. Kiran has worked with companies like IMR (later acquired by CGI) and Tata Consultancy Services (TCS). Kiran has a BSEE from Birla Institute of Technology and Science, Pilani, India and MSEE from Indian Institute of Technology, Mumbai. He is a senior member of IEEE. Rishikesha T. Krishnan is a Professor (and currently Area Chairperson) in the Corporate Strategy & Policy Area, & Jamuna Raghavan Chair Professor of Entrepreneurship at the Indian Institute of Management, Bangalore (IIMB), India. His research interests are in the areas of strategy, innovation and competitiveness. Prof. Krishnan holds degrees from IIT Kanpur, Stanford University and the Indian Institute of Management, Ahmedabad. He has been a member of the Confederation of Indian Industry (CII) National Panel on Intellectual Property, R&D, Technology and Innovation; the Advisory Council of CIIâs National Innovation Mission; and on the jury of Nasscom’s innovation awards. He has been a member of government committees to review the performance of the National Innovation Foundation, and to study âThe Future of Aviation and Aeronautics in India.â He has done external reviews of the plan schemes of Indiaâs Department of Scientific & Industrial Research and the Department of Biotechnologyâs SBIRI scheme. Prof. Krishnan is an independent director on the boards of several companies He is a trustee of the Foundation for Excellence India Trust (www.ffe.org). He was the Fall semester 2008 Visiting Scholar at the Center for the Advanced Study of India, University of Pennsylvania. Professor Krishnanâs first book, From Jugaad to Systematic Innovation: The Challenge for India (see http://jugaadtoinnovation.blogspot.com), was published in February 2010. Anup is the head of the automotive line of business at KPIT Cummins. With his commitment to innovation in product engineering and solutions delivery he has built strong relations with customers and has been helping them to globalize & standardize their products and operations efficiently. He has been instrumental in creating a robust delivery ecosystem which supports clients in bringing complex technology products and systems faster to markets. Passionate about technology in cars, Anup began his career as a research engineer at the Automotive Research Association in India (ARAI). With over 15 years of experience in the field of automotive electronics, Anup has played a key role in setting up the Automotive Electronics practice at KPIT Cummins. Anup has done his engineering from Government College of Engineering, Pune where he was awarded the Best Outgoing Mechanical Engineer. Anup has authored numerous articles and frequently speaks at national & international forums on automotive technologies and electronics in particular.